The International Wine & Health Summit returns to the United States this next year for an exciting program of Continuing Medical Education and Northern California Hospitality. This bi-annual event, in partnership with our international colleagues, brings leading scientists and clinicians to the UC Davis campus for a stimulating lineup of historic & late-breaking science on alcohol wine, and health. We are very pleased to be bringing the 2019 International Wine & Health Summit to Northern California in May 2019. 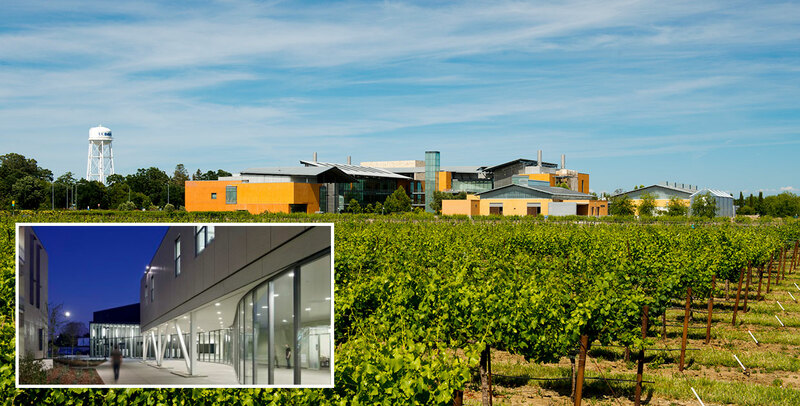 The program will be held at the Conference Center on the campus of the University of California at Davis, Davis, California, home to the worlds preeminent academic institution for Viticulture and Enology. The UC Davis campus offers the unique advantage to Summit delegates to explore the working laboratories and vineyards of the Robert Mondavi Center for Food & Wine Science, where winemakers, master-brewers, food specialists, and associated scientists of the future, are currently in training. The Summit represents a partnership of the International Wine & Heart Health Summits sponsored by the Desert Heart Foundation and the Renaud Society, and WineHealth, an international association of research scientists in the field of wine, alcohol and health consequences. The blending of the international research community along with a broad based clinical physician and healthcare provider attendance, and delegates from the wine industry and advocate groups, makes this program a one-of-a-kind and extraordinary experience for those who share an academic interest and passion for wine, lifestyle, and health. The Renaud Society, a society of medical professionals and advocates, with an interest in better health and a passion for wine, are proud sponsors of this program, along with the Desert Heart Foundation and the Robert Mondavi Institute for Food & Wine Science at UC Davis. The faculty for this program blends academicians, research scientists, clinical specialists, iconic industry personalities and thought leaders from across the globe, who are charged with addressing the complicated topics surrounding wine, alcohol, health and longevity. The program applauds the participation of local wine producers and vineyards who will welcome our Summit delates with a warm meritage of Northern California Wine Country hospitality. Our most wholehearted invitation is offered for you to attend this program, and we are certain that your understanding of the sciences surrounding the topics presented will be advanced and that your appreciation for wine as a medium, in moderation, for better health, enhanced. We invite you to participate in the Hospitality Program of the 2019 International Wine & Health Summit. The hospitality program includes exclusive wine tastings scheduled throughout the program curriculum and includes one seat at the gala dinner reception, an Affair of the Heart. A sensitive pairing of local farm to table cuisine along with unique wines from the Napa Valley and nearby vineyards to be held at the International Center on the campus of U.C. 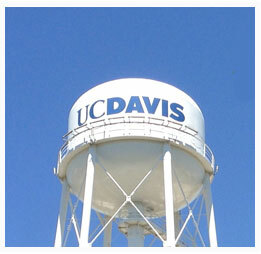 Davis, is planned. Unique wines will complement dinner. Music for your entertainment and dancing pleasure is planned! We encourage you to purchase additional hospitality program registrations for your guests! This live activity, 2019 International Wine & Health Summit @ Davis, with a beginning date of 05/04/2019, has been reviewed and is acceptable for up to 14.00 Prescribed credit(s) by the American Academy of Family Physicians. Physicians should claim only the credit commensurate with the extent of their participation in the activity. Timothy Albertson, M.D., M.P.H., P.h.D. Hearty hors d'oeuvres, wine, and merry send-off! PLEASE NOTE: After registering for the Summit. you must purchase Hospitality Program for you and your guests who plan to attend. See the 2019 Symposia tab to see all that the Hospitality Program includes. PLEASE NOTE: You must purchase Hospitality Program for you and your guests separately under that tab. See the 2019 Symposia tab to see all that the Hospitality Program includes. Renaud Society members receive a discounted price for conference tuition as noted below. To become a member, click here. Does not include CME (Certificate of attendance provided) Includes hospitality tastings but excludes gala dinner. Hospitality Program is limited to Wine Summit Registrants and their guests. Test your skills as a Sommelier! Each day a new wine will be blindly poured for your examination Complete the questionnaire, and compete for the prize of Wine Summit Master Sommelier. © Copyright WINE SUMMIT All rights reserved. Tucson Web Design by Tagline Media Group.